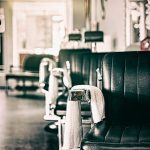 In our last article, we stated that our salespeople have less training than a hairdresser and our readers were very vocal about this statement, but it’s true. A hairdresser takes a 6-12 weeks course on just to cut and manage hair. How much training did your employer offer you? Of course, there are exceptions, but not many. In part two of this series, we wanted to give an example of an installation process for head-unit installation. This came about from a recent discussion with a good friend who owns a retail store. Like most stores, they are looking for an installation specialist, but they are hard to find these days. After posting on local job sites, a resume came up from a local guy who had been doing installs for a few years for friends and through Kijiji ads. So, they brought him in for a trial run, and the feedback was less than spectacular. “He’s just bad, he had to redo the head unit three times to run the Bluetooth microphone and USB”. As I listened to this, I actually felt bad for the guy, he was just in over his head. But did the retailer give him a process to follow? • Remove the radio from the vehicle, confirm all wiring etc. • Install radio and secure all wires etc. This might seem like overkill, but is it? You have outlined the exact process you want to be followed for your store. What does this mean for your business? It provides consistency and efficiency of your services! This gives you the ability to add or subtract items from your process. A good example of this is being able to add Apple Car Play or Android Auto. But even more importantly, you can add employees to your process easily! Some of the largest companies in the world use similar processes. Whether it is making burgers, greeting customers or building a home, there is always a process. You might be the best furniture builder or automotive mechanic, but if you cannot add people to your business, it will not grow. With processes, the business becomes scalable and expandable. If you want people to have the same care and attention you give your customers, you have to train them. A process also holds people accountable and accountability builds good employees. In our next article, we will give examples of a sales process to hopefully give you the ability to grow your business and help you achieve your business goals.